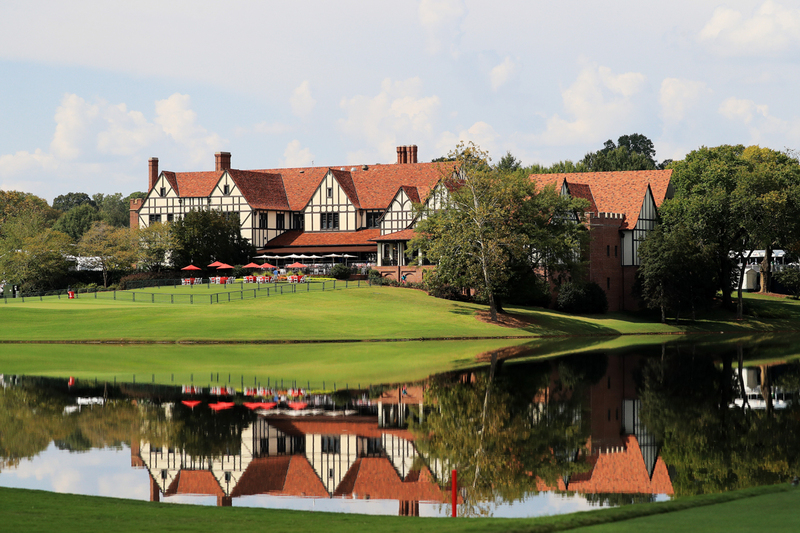 The East Lake Golf Club’s clubhouse will become the 1904 Club during the TOUR Championship. From high-tech driving ranges to stylish apparel, the world of golf is always looking for creative ways to attract its next generation of fans. So how does the TOUR Championship, held here September 20-23, take the final tournament of the PGA Tour season to the next level? Food. And not just hot dogs and burgers, but exclusive, members-only meals prepared on-site by some of Atlanta’s most popular chefs. 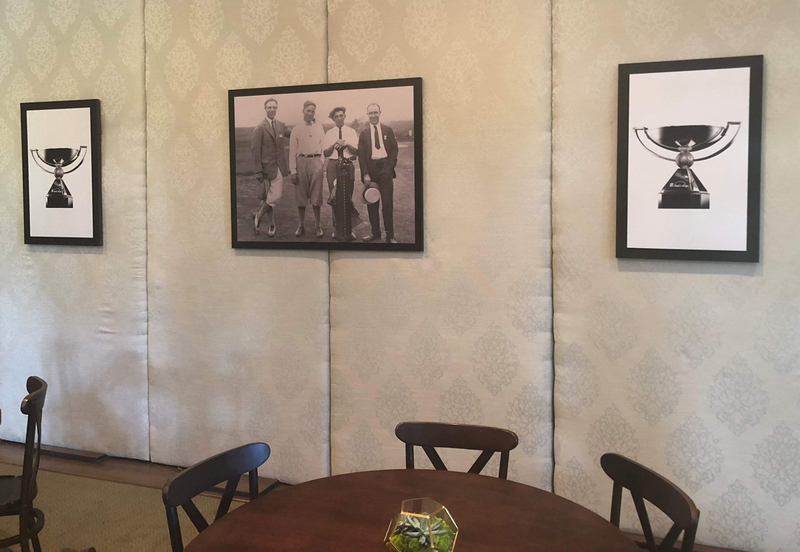 Not to mention access to the private East Lake Golf Club—temporarily renamed the 1904 Club—throughout the duration of the tournament, including Wednesday practice rounds. At $4,000 per person and limited to 500 people, the comforts of a 1904 Club membership are for the truly devoted, but members will be treated to unique lunch and dinner options each day from six notable Atlanta chefs: Philippe Haddad (Cape Dutch) on Wednesday, Chris Hall (Local Three) on Thursday, DeeDee and Nan Niyomkul (Chai Yo and Nan) on Friday, Kevin Rathbun (Kevin Rathbun Steak) on Saturday, and Kevin Gillespie (Gunshow, Revival) on Sunday. Members will also have access to private seating on the Clubhouse lawn to watch the tournament, a concierge service, valet parking, even an invite to the East Lake Invitational gala the week after the tournament. 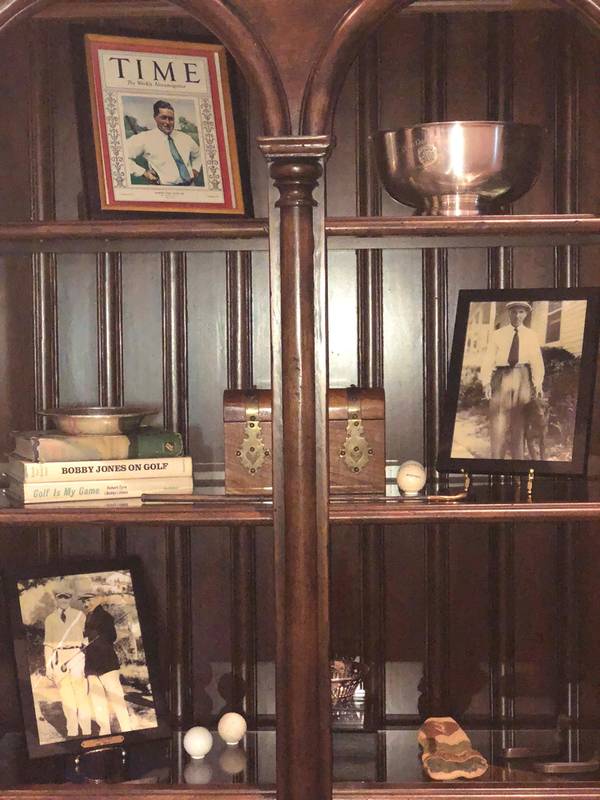 The 1904 Club takes over East Lake’s clubhouse and is laid out into three main spaces: The “Great Hall,” where guests will enter, is filled with artifacts that show the history of East Lake Golf Club, complete with on-site historians to answer any questions about Bobby Jones’s home course. The clubhouse’s ballroom will be transformed into “Kilties,” a sit-down dining area where lunch will be served from 10 a.m. to 3 p.m. Guests will be greeted with a glass of Champagne and the option to order a choice of five dishes—two from the guest chef and three from the East Lake Golf Club, where the kitchen is lead by executive chef Nick Barrington. For dinner service (3 p.m. to 7 p.m.), diners will head to the “Boathouse Pub” (in the clubhouse’s restaurant space), where a variety of action stations will be set up, including an oyster bar and one unique action station from the night’s star chef. Both dining areas will have plenty of TVs so diners can keep up with the action happening outside. 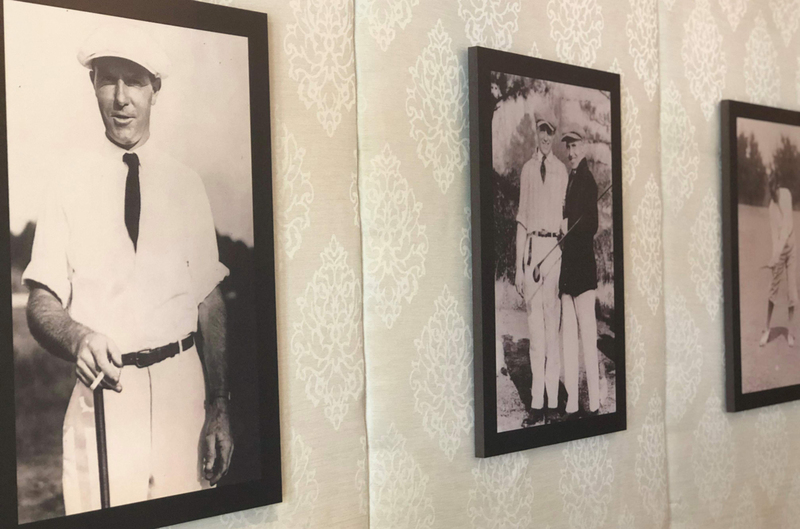 East Lake Golf Club president Chad Parker and chef Hall, an avid golfer who says he has been going to the TOUR Championship “forever,” were major players in compiling the guest chef lineup. Hall is planning a hog roast for Thursday—during an August media preview dinner meant to give insight into what the chefs were planning for their respective days, he served a tender, cochinita pibil-style hog as part of a DIY taco station, with corn tortillas, Saffron rice, charro beans, red onion, and raddish, served alongside shrimp ceviche, esquite, and puffy tortilla chips with pico de gallo and guacamole. “A hog roast is just a very Southern thing,” Hall explains, and when cooking at a tournament that hosts players and guests from around the world, “part of the point is to represent the region where you are.” For an additional touch of local fare, the ASW Distillery team is also bringing their bourbon and whiskey to accompany Hall’s meals. For Gillespie, cooking on Sunday meant he wanted to design a menu full of comfort food. He’ll be making a “classic English roast” at dinnertime, and while the chefs had creative license in what they wanted to serve at the 1904 club, one dish was specifically requested of chef Gillespie—his famous Closed on Sunday fried chicken sandwich, which will be offered during lunch. 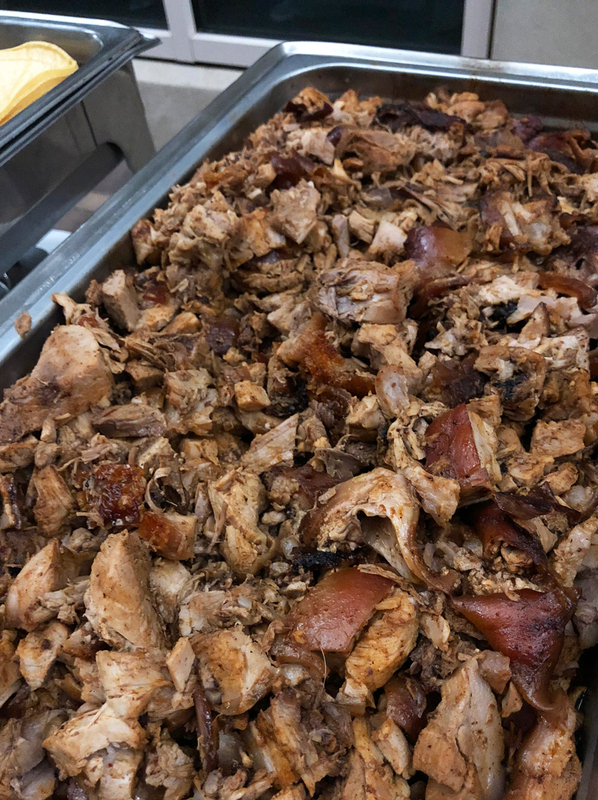 Haddad will put a lively spin on Wednesday’s practice rounds with a South African braai dinner, while Rathbun’s menu will, of course, feature steak. Mother-daughter team Nan and DeeDee Niyomkul will bring Thai flavors inspired by their respective restaurants. Their family is no stranger to the PGA Tour—DeeDee says Nan’s has hosted a special welcome dinner for the TOUR Championship’s top 30 players for several years. 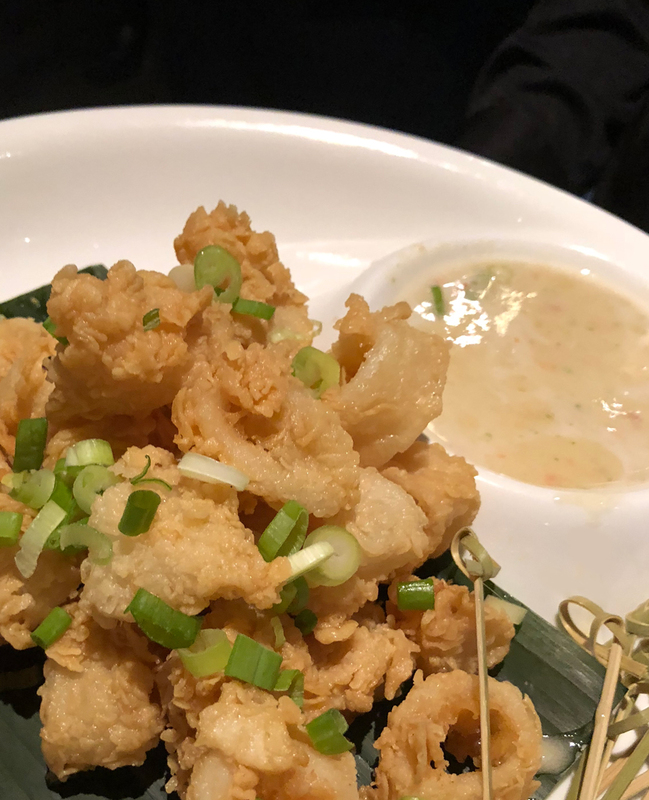 DeeDee Niyomkul says this calamari, shown here at a media preview event for the 1904 Club, may be one of the appetizers served on Friday. Lucky members might get a chance to mingle with the tournament’s star players. “They don’t hide away for too long,” says East Lake chef Barrington, “They want to come down and enjoy the food, too, and say ‘hi’ to the chefs.” But just in case, the Club also plans to host a few player meet-and-greet events, along with special food and cocktail tasting sessions. 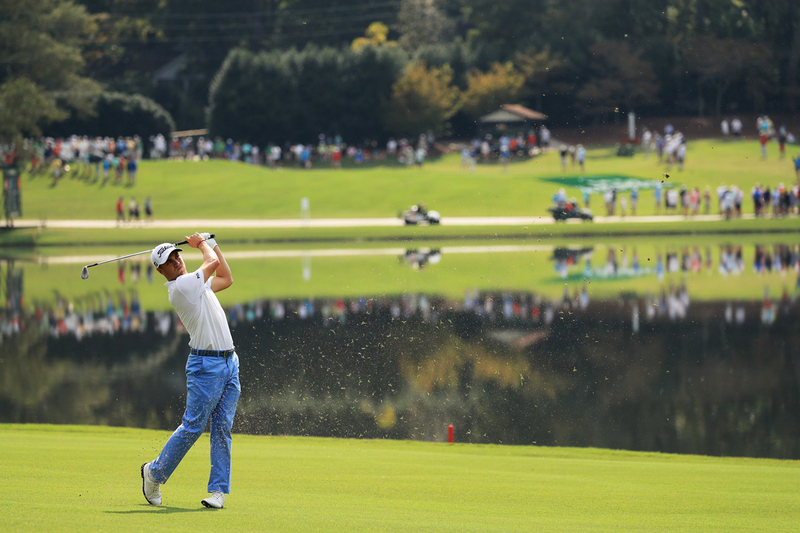 Justin Thomas plays during last year’s TOUR Championship at East Lake Golf Club. But if the 1904 Club’s price tag is too steep, the chefs of the 1904 Club aren’t the only local dining options available during the tournament. Henri’s Bakery will serve special shamrock cookies (a nod to Bobby Jones, who was born on St. Patrick’s Day) on the first tee, along with po’ boy sandwiches that Fillmore says sell out each year. Fox Bros. Bar-B-Q and tacos from Tin Lizzy’s will also be available on the course, as well as burgers and sandwiches from Decatur restaurants Steinbeck’s and Big Tex. Also noteworthy: New Orleans’s famous Acme Oyster House will also serve po’ boys and char-grilled oysters at a new Coca-Cola-branded lounge located on the eighth green. Fillmore says tournament officials are pleased enough with presales and interest in the 1904 Club that they’re already prepping for 2019. “Even though we create these amazing events for people, what we do ultimately goes right back into the communities through charity,” Fillmore says, noting that the tournament donated $2.5 million last year. “Once we close out our books for the tournament, everything we make goes back to Atlanta charities,” including the East Lake Foundation, First Tee of Atlanta, Purpose Built Schools Atlanta, and the Grove Park Foundation.